Pagosa Springs holds a special place in the hearts of Tim and Cindy Plate. They first fell in love with the area when they were both working in professional sports marketing. They married in a meadow on a ranch in Chromo along the Navajo River. They built their first home here. And they had their first child here. And in 2002, they pooled their collective marketing, corporate and sales backgrounds and co-founded what today has grown into the home of the area’s leading team of Real Estate Brokers – Galles Properties. A family company in every sense of the word, Galles Properties is managed day to day by Tim and Cindy and their amazing team of staff and Brokers. As the Employing Broker, Tim oversees Broker and contract management, and directs the overall business direction of the company. In her role, Cindy works with the Office Manager and staff to administer listing and office management and produces all marketing activities in-house. This hands-on, in-house approach has allowed Galles Properties to be nimble and responsive to constantly changing technology and marketing opportunities – allowing us to provide the highest level of marketing services to each of our listings and professional and discreet service to our Buyers. Galles Properties Has Been The #1 Real Estate Company In Pagosa Springs Since 2006. Our company is marketing driven at its core – and at the heart of every single member of this team is the passionate dedication to service and professionalism as we serve our Clients. To say that this company is different is a true understatement. We are family at Galles Properties. Our Brokers are seasoned business professionals who have marketed and closed millions of dollars in successful transactions. 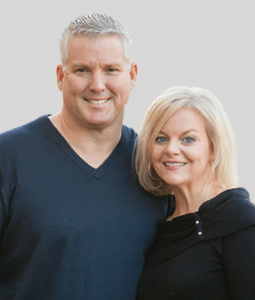 Each and every member of this team is responsible for the continued success of Galles Properties, and Tim and Cindy could not be more honored to work alongside them.